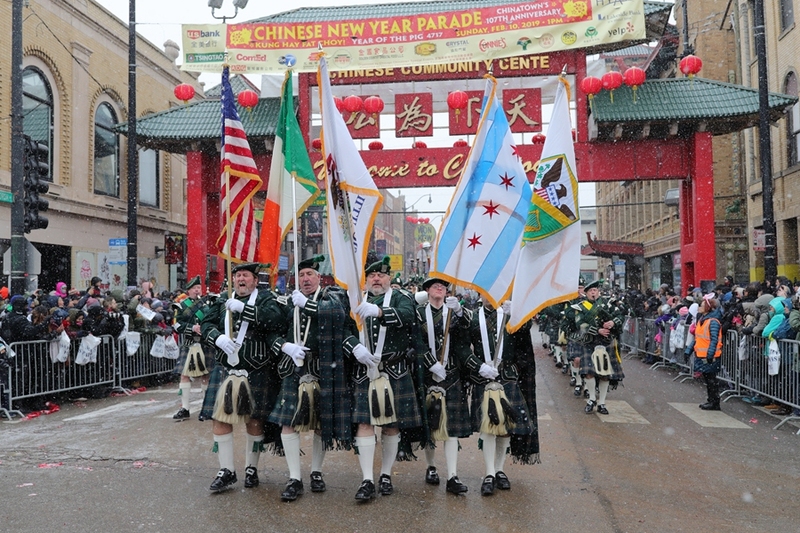 On February 10th, 2019, Chicago’s Chinatown held its annual Spring Festival Parade. 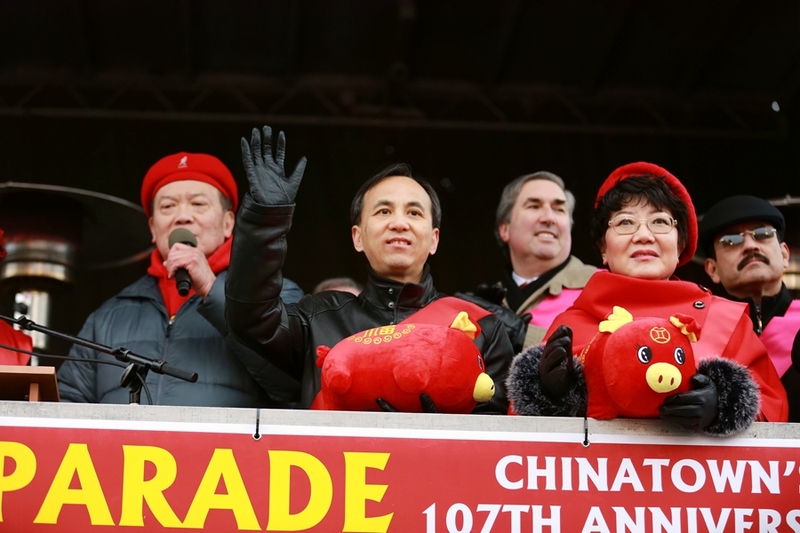 Acting Consul General Liu Jun, Deputy Consul General Huang Liming, Illinois State Rep. Theresa Mah, Cook County Board President Toni Preckwinkle, Cook County Treasurer Maria Pappas, Cook County Commissioner John Daley, 11th Ward Alderman Patrick Thompson, and tens of thousands of overseas Chinese and local Americans attended the parade. 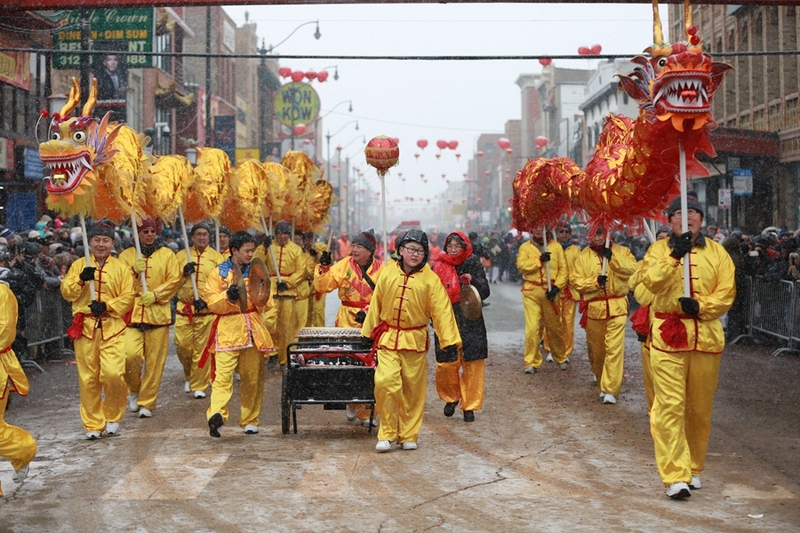 The parade kicked off in the crack and boom of fireworks and Chinese percussion. 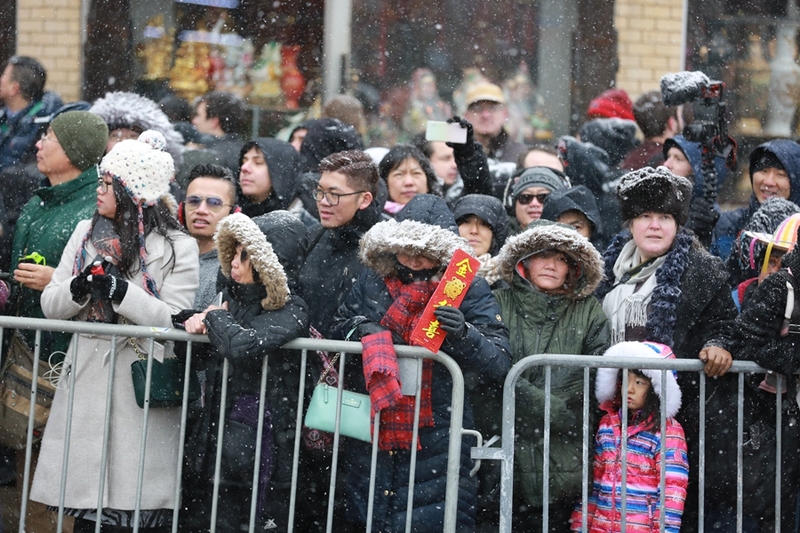 Acting Consul General Liu Jun, Deputy Consul General Huang Liming, and the other special guests assumed position at the front of the parade, then took their first steps toward the New Year, waving to the onlookers along the long stretch of Wentworth Ave. 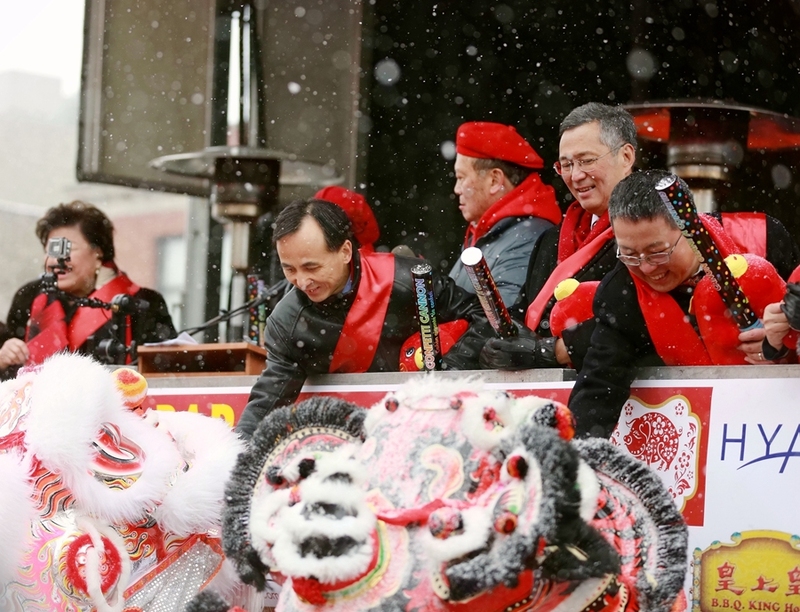 In his speech, Acting Consul General Liu Jun remarked that without the careful arrangement of the parade’s organizers and the concerted and combined efforts of the greater community, Chinatown’s annual Spring Festival Parade could not have become the great and welcome tradition as it is today. He then extended New Year greetings and wished Chinatown continued prosperity. Each of the special guests, from their place high up on the podium, acknowledged the important contributions made by the Chinese community to this nation’s multicultural society, as well as the role all overseas Chinese organizations have played in spreading Chinese culture and promoting the community’s prosperity and development. 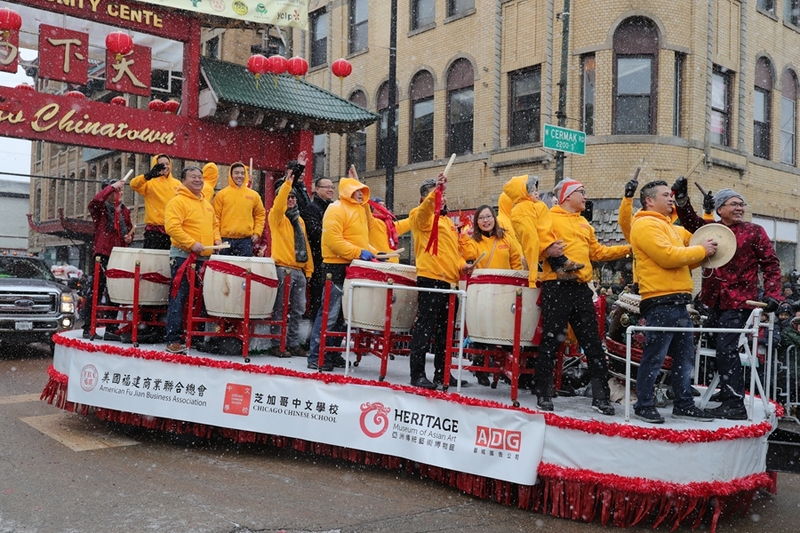 Hosted by the Chicago Chinatown Community Foundation and Chicago Chinatown Special Events, Chinatown’s annual Spring Festival Parade is the largest and one of the most important celebrations of Chicago’s “Happy Chinese New Year” event series. 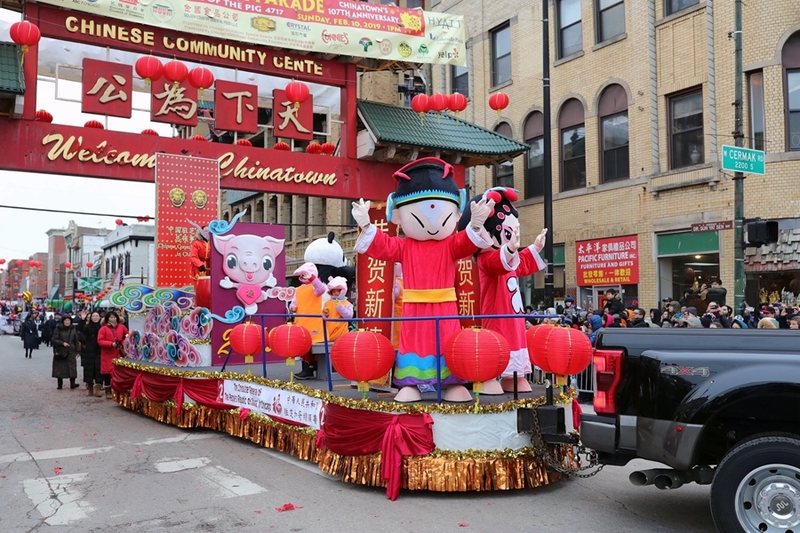 The parade consisted of 18 festive floats, 6 dancing dragons and lions, 6 percussion troupes, and 61 marching groups representing overseas Chinese organizations and community service agencies. 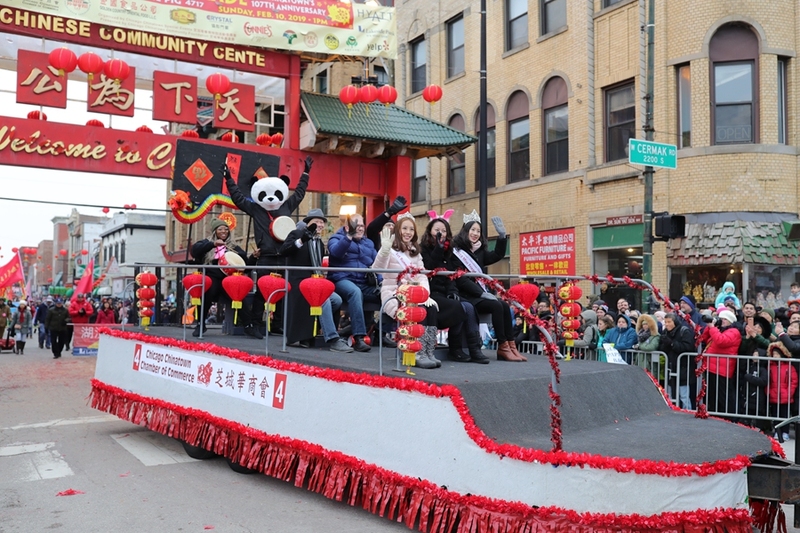 On the Consulate General’s float, two consuls dressed up as Fuwa (mascots of the 2008 Beijing Summer Olympics), a handful of children sported cute baby pig costumes, and with their teacher under the guise of a fluffy panda, wished the onlookers New Year greetings against the wild and festive beats of Chinese drums. 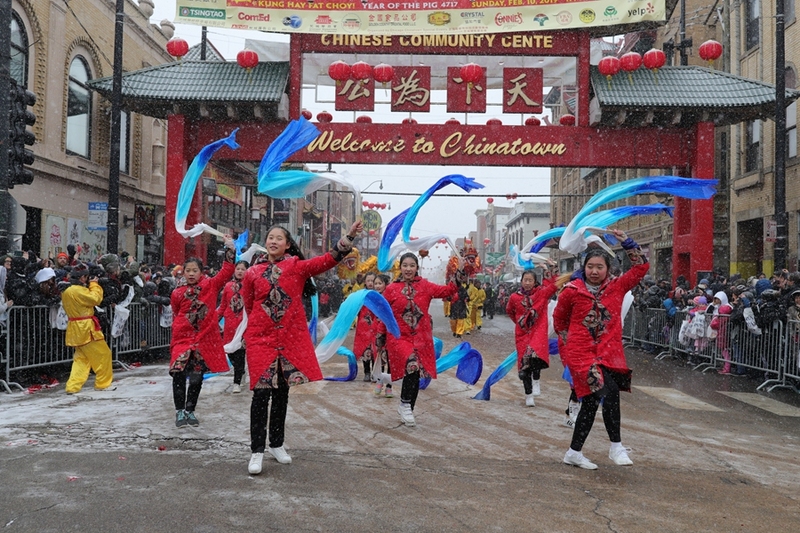 Many parade-goers held up red sheets inked with Fu (Chinese character for good luck) and Spring Festival couplets and cheered the parade down the street. 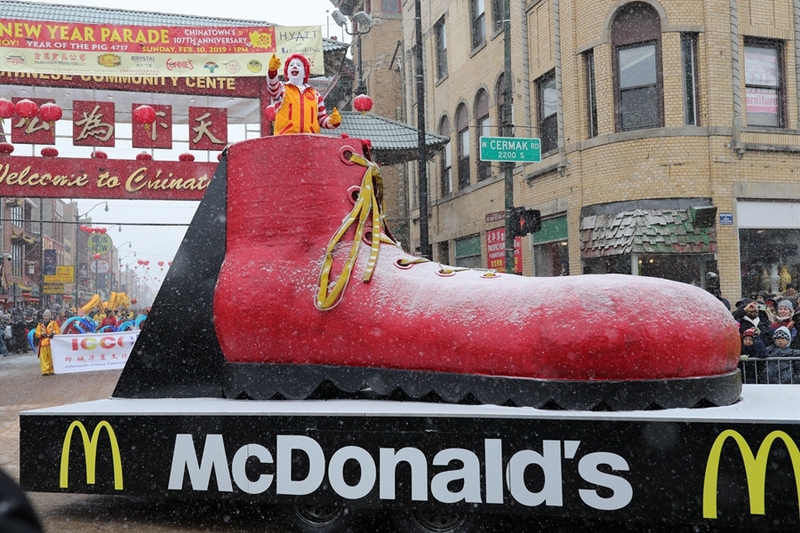 In the middle of the parade, a gentle snow began to fall—the sky filled with feathery specks of cotton white blowing to and fro in the chilled waves of winter air, the deep reds of Chinatown and its over 1,500 hanging lanterns beginning to glisten with the intensity of the Spring Festival. 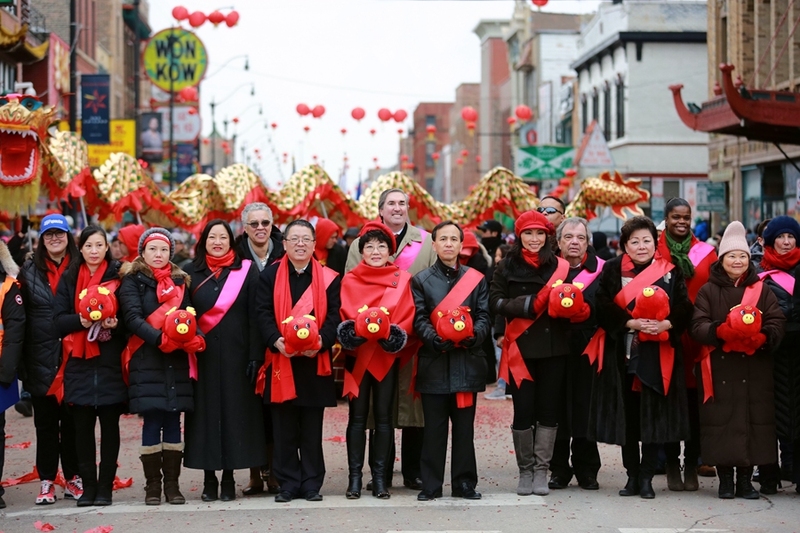 Before the end of the parade, in line with Chinatown’s tradition of “Auspicious Lions Fishing for Money”, Acting Consul General Liu Jun and Deputy Consul General Huang Liming, along with the other special guests on the podium, fed these lions red envelopes full of money, concluding the celebration of the Chinese New Year with all the parade’s attendees.